Back in January, we invited people over to eat some bacon and brew some beer. It was awesome. So we’re doing it again. 10 months later. Last time we brewed an extract clone of Bell’s Best Brown. It turned out great. I think we might still have some to share, actually. 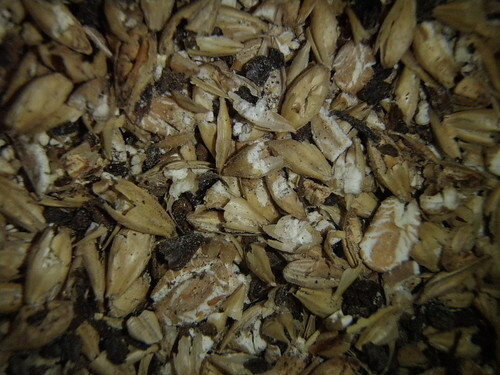 This time, we’ll be doing the infamous Rye Dry Stout. All grain baby. All grain. It all happens this Saturday, 10/23. I’ll start the water boiling around 10am, and have bacon and eggs and other suchness ready to go around that time as well. If you’d like to join, shoot me an email (pj [dot] hoberman [at] gmail [dot] com), leave a comment, text me, tweet at me, call me, smoke signals… Whatever your preferred method of contacting me might be. Last week I realized how soon GABF was upon us. And soon there would be even more beer lovers in Denver. And how soon I had to have a lot of beer ready for them all to drink. Kell and I created a brewing schedule, and decided to brew so that when everyone is in town, we can hand out tons of beer to thirsty people. That meant getting the all grain system operational again. A few months ago, I got lazy and left some spent grains in the mash tun, closed, outside in the sun, for a few days. Bad. Bad bad bad things. It smelled like.. well… I won’t get into details, but I decided that any container that had held that smell would not hold my ingredients anymore. Since then, I’ve just been brewing partial mashes. But this weekend I rebuilt the all grain system. It’s pretty close to the previous one, though it took a lot more work to get right. Thank you to Ben at Beer At Home for his help getting that going. Taking a few months off brewing all grain is like taking a few months off riding a bike. Or some other analogy. Whatever. I was rusty. 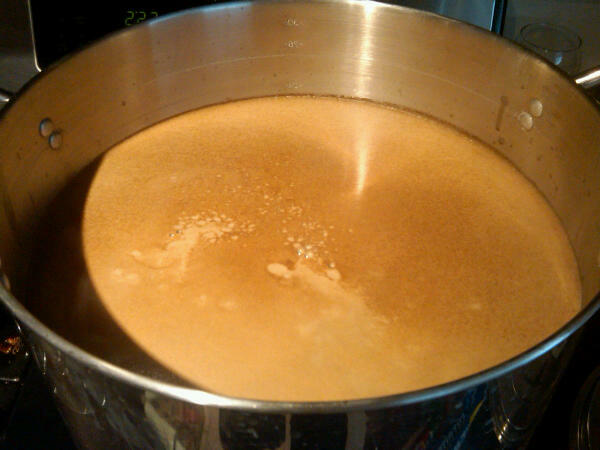 I brewed a Scotch Ale on Sunday. So I had to boil it down to about 4.5 gallons. Oops. I messed up earlier than that, but I didn’t realize it till too late. I had to cut a braided washer hose for the mash tun. I grabbed one from my brewery box – a random collection of tools and whatnot – and it was good to go. Until right before the boil was over, when I realized there were two in the box, and the one I cut was the connection from under my sink to my wort chiller. So I had to run to Ace and get a new one. Oops. But, I hit my target gravity pretty closely. I got 1.069 when it was all said and done, though only about 3.5 gallons or so. It should be damn tasty though. There will probably be more in there, but that’s the plan for now. And that my friends is my update. Please let me know if you’re in town for GABF, we’d love to share some beer.